Do you love restaurant style buffalo chicken wings? Well, if you answered yes, then you will surely love this recipe as these wings taste just like you'd get at a restaurant, probably even better! 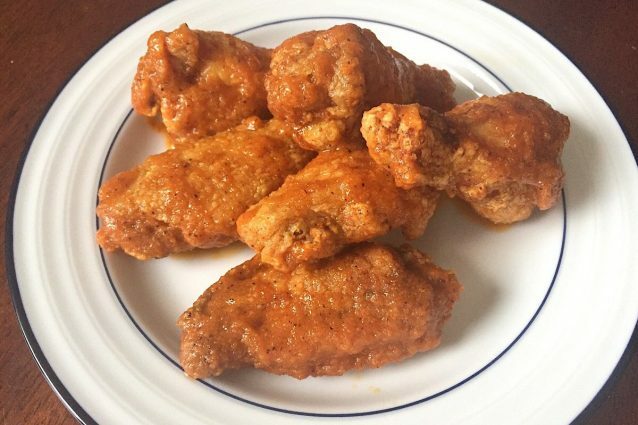 The lightly floured wings are deep fried and served with a homemade buffalo sauce that is so easy you will wonder why you have never made it before. Make these wings by the dozen for your next party or to simply eat yourself- they are perfect for any time of year and any occasion. 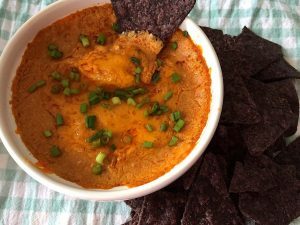 In a medium sized bowl, mix together the flour, paprika, salt and chili powder. Add the chicken wings into the flour mix and use your hands to toss the wings until completely coated in flour. Cover and place the bowl in the fridge for about an hour. This will allow the flour coating to really adhere to the chicken and for the flavors to absorb into the meat. Once fully cooked and brown, remove the chicken from the dryer and place it on a paper towel to absorb some of the oil. Toss the chicken in the sauce and serve while hot. Fry the remaining chicken and coat with the sauce once cooked as well. -If you do not have sriracha sauce, any hot sauce will do. Pick a hot sauce that you really love as it will be a very strong flavor for these wings! – Love wings but want something other than buffalo sauce? These wings go great with teriyaki sauce or a nice chili lime coating. 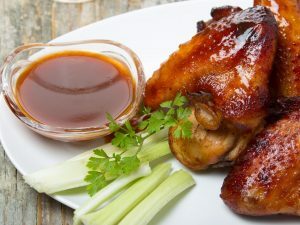 -Serve the wings with ranch dip and a side of carrots and celery for a complete restaurant style meal!